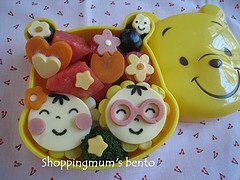 While browsing through Flickr I came across “bentos”. 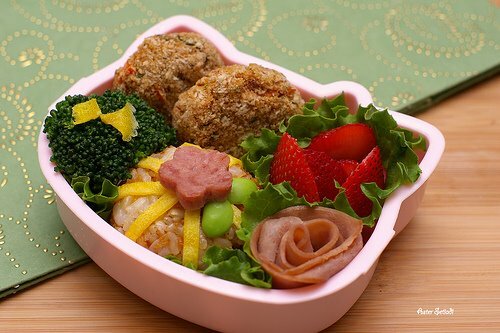 Who knew food could be so cute? I bet these moms have some very happy kiddies. 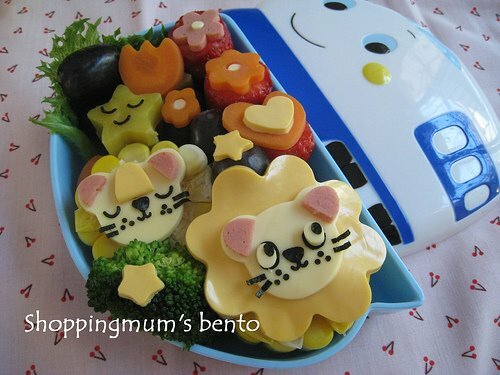 Of course there are normal/grownup version of bentos… but they aren’t nearly as adorable. See for yourself. How fun to eat a piece of cheese in the shape of a heart and a hard boiled egg shaped like a flower and star shaped carrots. 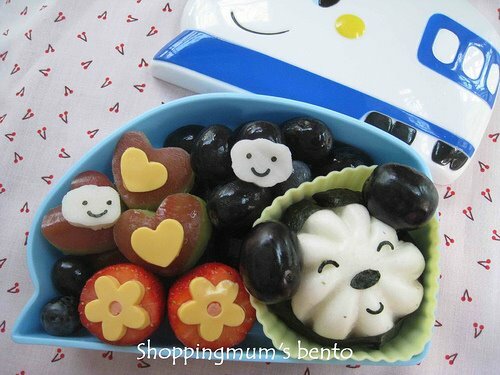 I’ve been searching bentos online and found all kinds of crazy cute stuff…. 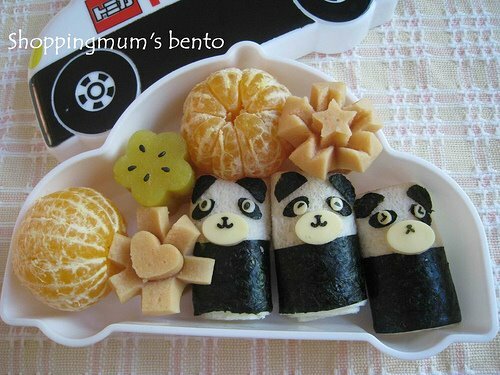 like the teeniest, tiniest containers for soy sauce (or ranch dressing), and tiny decorated picks to skewer fruit pieces and the cutest bento boxes. Ahhh I’m a little bit obsessed at the moment! 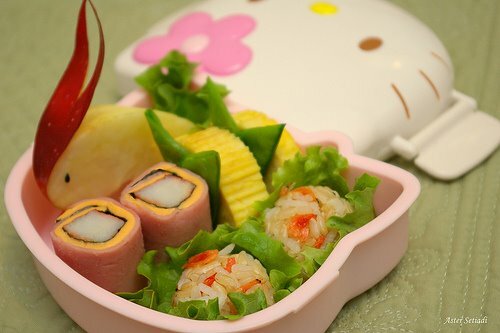 If you catch me eating a Hello Kitty shaped hard boiled egg, just go with it. I promise I’m ok. 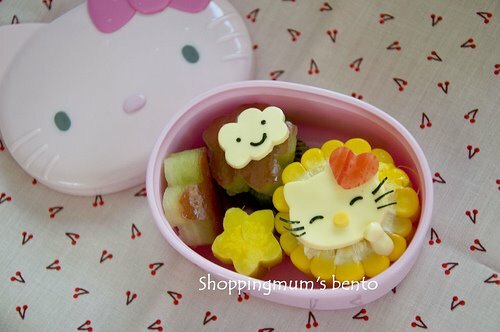 Most of the photos are from shoppingmum. The last three are from bentomom. LOL! 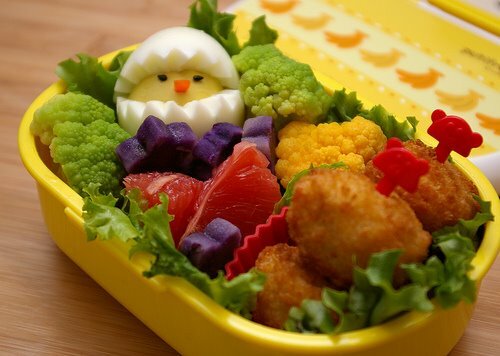 I wish I could see the look on your co-workers face as you sit down to a lunchbox full of these cute foods! Those are so cute and way creative! But seriously, what mom has time to do that?